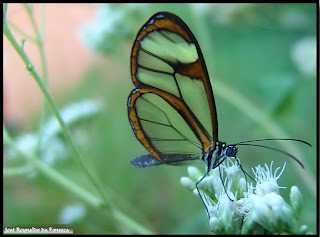 Its formal name is “Greta oto” but this miracle of nature is commonly called The Glasswing Butterfly. A native of Central America, this alluring yet elusive creature is found from Mexico to Panama. With wings as delicate as finely blown glass, this rare tropical gem is studied closely by rain forest ecologists. When their numbers are up, it’s an indication of a healthy habitat. But if their populations dwindle, it’s a sign of ecological danger. 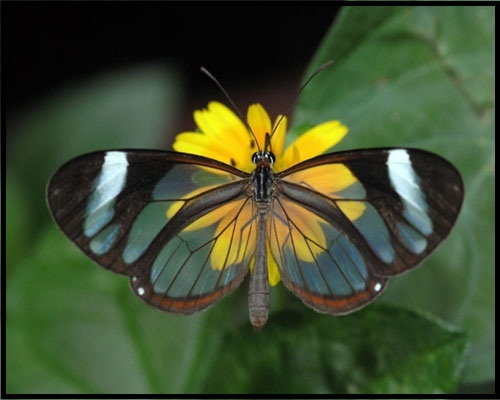 Rivaling the refined beauty of a stained glass window, the translucent wings of the Glasswing Butterfly shimmer in the sunlight like polished panes of turquoise, orange, green, and red. 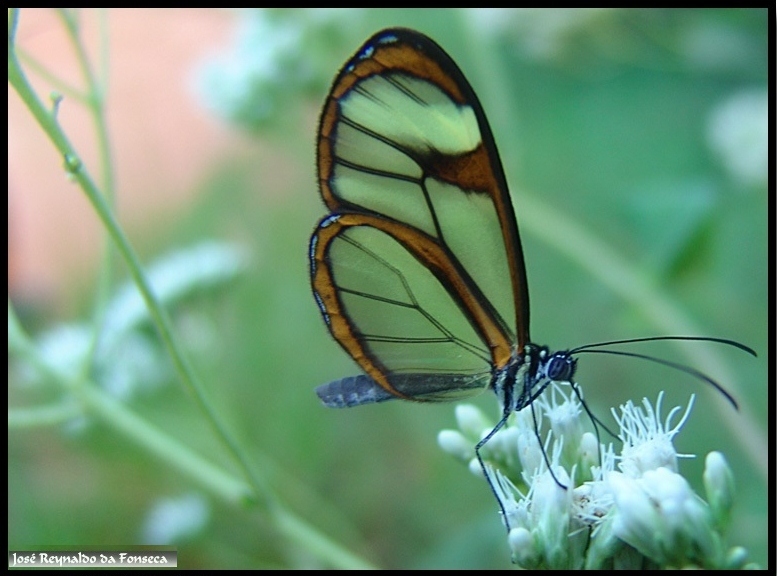 The Glasswing Butterfly is just one example of God's blessings that surround us. 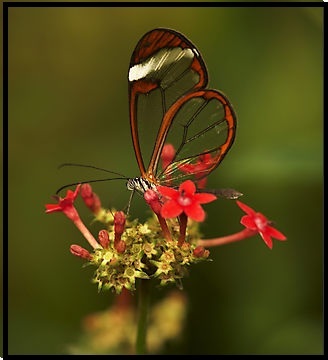 No matter where you live, look around and revel in the wonder of nature. 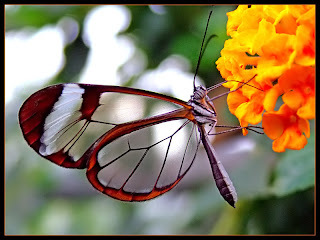 Behold the beauty that is ours to enjoy. 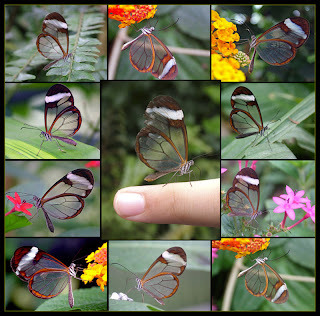 Wonderful!These creatures are shimmery, a beauty in motion I would agree. 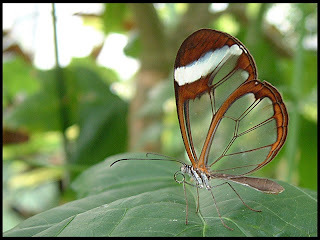 The glass wings are very rare indeed. 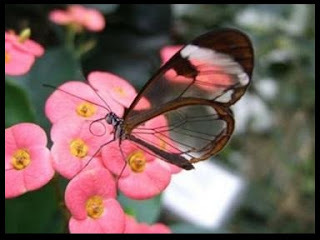 It always never fails me to be amazed of these amazing butterflies. 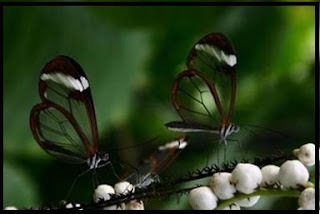 Hi AML--they are, indeed, magnificent. Thank you for commenting!